For those who prefer to embark on their iOS journey in a landscape orientation, it may be slightly annoying that certain native apps and parts of the OS isn’t set-up with landscape support. Apps such as the default Settings app are strictly portrait-only affairs and no matter how ferociously you flip that device around; it refuses to to budge. 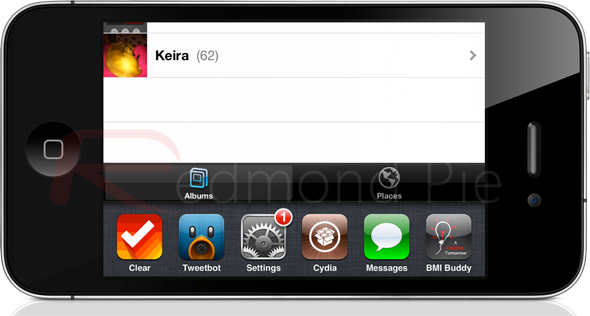 The same goes for the multitasking switcher tray which can be invoked by double tapping the Home button on the device. The bar that appears along the bottom on the screen containing backgrounded apps is designed to work in portrait mode only. The SwitcherLand tweak that has recently landed on the Cydia store aims to solve that issue by introducing support for the alternative landscape orientation when the switcher tray has been invoked by the user. It seems a little strange that such behavior hasn’t been built into iOS as standard by Apple, considering that the default behavior is to show the multitasking tray in portrait only mode, even if the open app is in landscape. With that being the case, the whole user experience is tainted when the Home button is tapped twice, meaning that the user has to literally flip the device to use the tray. While that might not seem like a big deal, it does seem to go against the whole seamless flow of iOS that Apple craves so badly. After installation, SwitcherLand extends the abilities of the switcher tray to support the alternative orientation but still stays true to the original functionality and contains the familiar media controls, Music app access and even a orientation lock option that allows the user to lock the device into landscape orientation. This particular tweak contains no additional icons or settings entries and requires an iPhone or iPod touch running iOS 5 or above. SwitcherLand is available as a free of charge download from the BigBoss repository.